I've been going through a lot of medieval church stuff lately, and the papacy certainly did gather momentum throughout history. Let us not forget the importance of the Donation of Constantine! Thanks. Extremely interesting stuff. The foundation of the Roman papacy is built on sand rather than a rock. "I had to laugh at the comment by James Swan about CatholicAnswers.... I went to that site for several years, AMAZED at the horrible "apologetics" they seem to allow there. Then I had enough and HAD to post! I did for a few weeks until the Staffer emailed me and said I'd been reported a lot - but staff had always concluded that I had violated no rules. But they had complaints that I (like some others) were "distrubing souls" "conflicting with the purpose of the site" (the exact, verbatim terminology used in the email to me) and that I was therefore being "terminated" (they didn't say banned). I wrote back and he said they did this from time to time... He assured me I had violated no rules and wished me well. There ARE a few solid Protestants that seem to survive (including a Lutheran) but they seem to stay under the radar. By the way, that Staffer gave me permission to appeal their decision and request Staff to reconsider - I decided not to. I honestly think that anyone going there quickly notes the pathetic stuff that sadly abounds there...."
If you read the rest of my comments in the thread, I consistently asked him what evidence do these scholars have that showed Peter did not find the Church in Rome. I used evidence from Scripture and Church Fathers that support the Catholic view of Peter finding the Roman Church. Paul explicitly showed in Rm 15 someone founded the Roman Church before he wrote his letter because he would not lay another foundation. In Act 12: 17, it says Peter traveled to other places after he left Jerusalem, but it did not specify where. The Church Fathers were unanimous about Peter finding the Church in Rome, starting with Ignatius of Antioch who directly communicated with the Apostles. Everytime I asked him/her where these scholars got their evidence, they would not give it to me. 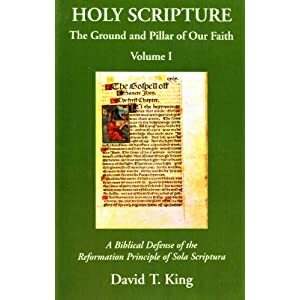 Reading from the scholars that claim Peter did not find the Church in Rome (especially Raymond Brown, since we talked about him more) you can summarize there writings by saying the Bible does not say Peter found the Roman Church. His last post directed to me was a passage from Raymond Brown. I sent them a personal message (since they closed the thread) saying the they proved my point and still did not give me any refernces of historical evidence. I ask you: Where did these scholars get this information? What historical evidence they have that showed these Church Fathers were wrong about Peter finding the Church in Rome? Here is a response to you from perplexity. He seemed to be willing to continue this discussion. Since neither of you have been banned from c.a.f (yet) you can send him a message there and invite him to respond here. Did you read my message? I told you I responded to him in a personal message because they closed the thread. I cannot post anything else when a thread is closed. As for the website you sent me, I responded to that message on post number 33 and 34 asking him what authority do these scholars carry (along with other things). They sent a message (post 40) back giving me a list of their credentials, but still did not give me an answer to my question. They said they didn't have time (which I understand), but I told them just look in the reference page in the book and point what reference the author(s) used for that particular passage. I told them they can also look at the footnote as well. They just showed me a reference Raymond Brown used from O'Conner, which does not say anything about Peter not finding the Church in Rome. (I even read O'Conner passage, and he did not reference any historical evidence). They finally sent me a message answer my question (post 50) with a passage from Raymond Brown, but did not give me any historical reference he used. That is why I said you can conclude that the authors like Raymond Brown saying the Bible did not say he found the Church in Rome. That is when I sent him a private message. I cannot reply to you on the thread because it has been closed, and I still want to reply to what you sent me. Thank you for sending me a reply, but it still does not prove anything. You mentioned these scholars credentials to show their authority. Just because they are highly credited for their works, does not mean they carry authority. Even though they presented good works, that does not mean they cannot or did not get criticized, like Raymond Brown. If these scholars do not present any historic evidence, they should be challenged. As for the passages you posted from Raymond Brown book, you proved exactly what I said before: you can conclude from Brown passage that the Bible does not say Peter did not find the Church in Rome. Even Raymond Brown says that he does not know where Peter went after leaving Jerusalem. At the same time, the Bible does not say he did not go to Rome. If it does, please tell where. We know that Luke did not write everything down. Where does it show that Luke knew or wrote down everything Peter did? There could be multiple possibilities why Paul did not put Peter name down. One of the possibilities is that Peter may have left Rome and traveled to other places and came back when 1 Peter was written. All the apostles did not stay in one part of the countries they had to spread the Gospel across the world. As for the Early Church Fathers, the earliest (as I said before) evidence is from Ignatius of Antioch (and not later like Raymond Brown said, and he acknowledge that it was going to be hard to refute Peter finding the Church in Rome because of Ignatius and another person he mentioned). Your rebuttal about Ignatius could be referring to Peter and Paul letters is not very strong because those letters said they were already there (1 Pt) or going to visit (Paul to the Romans). In addition, Peter letters were not address to Rome specifically. They were address to every Christian Church. If Ignatius was referring to their letters, then Ignatius should have said John, James, and Jude also founded the Church in Rome because their letters were addressing Rome as well. The claim was not made because of Eusebius and Jerome chronology. However, Eusebius was consider as a great historian of his time. The claim was made because of the unanimous evidence from the Church Fathers, starting from Ignatius who had direct contact with the apostles. I never claim that Peter went to Rome right after leaving Jerusalem and that Eusebius and Jerome chronology is right. In fact, you will find that many Catholics would believe that Peter did not stay in Rome for 25 years. You will find many of us believing that he founded the Roman Church and leaving to travel to other places, like Corinth. However, with Paul explicitly saying in Rm 15 that somebody founded the Church in Rome and the unanimous statements from the Church Fathers saying that Peter founded the Roman Church, we can safely conclude that Peter did find the Church in Rome. Ironically, I liked Raymond Brown and Joseph Fitzmeyer's commentaries and writings. They are good Biblical scholars. Some Roman Catholics say those scholars are liberals and not to be trusted.